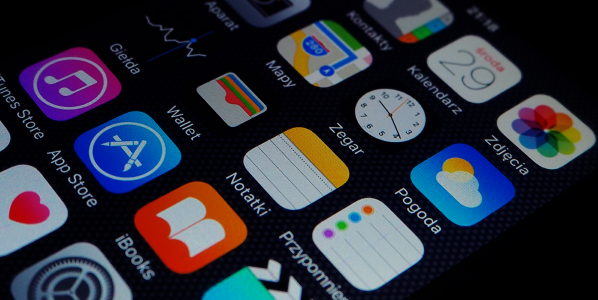 5 reasons why you need an App? Hands up those businesses that have invested in a website. Hands up those businesses that understand that a website needs to be constantly updated to truly engage with your customer base and make the most of that investment. The one reason we don’t often hear directly, but is often underlying is ‘to make ourselves look bigger than we are’. Competition in any market or sector is often about generating customer confidence by promoting the image that they want to see from any supplier or provider. As consumers, we’ve all come across websites that just don’t instil that level of confidence to make a purchase and often this is value or geographically related. We all take far more confidence from either personal recommendations or websites that draw us in and give us confidence in that company’s ability to fulfil. More than 3 billion people worldwide now use the internet (Time) and 80% of these people access it from their smartphone (Smart Insights). In 2016 mobile browsing overtook desktop and currently in excess of 51.3% of browsing is now on a mobile device with 85.75 of mobile time being spent on Apps compared to 14.3% on a browser. On average users spend 1.8 hours online via their smartphone every day and mobile Apps account for a staggering 89% of this time (Social Media Today). In October 2016 ASOS reported that mobile accounts for 69% of all of its overall traffic. In fact, since the launch of its mobile app, half of the online retail giant’s sales are made via its app. Your customers are mobile, you should be too. Making it easy for a customer to engage with your business in as many channels as possible, regardless of location and time of day, has to be beneficial. Scale your business. Using a mobile app can actually save money on recruitment and reduce the need to increase headcount to scale a business. It is not always feasible for companies to employ sufficient staff to manage and grow a business 24/7. One major benefit of mobile apps is the ability to automate processes and notifications to fulfill customer requirements. Apps allow you to open the doors to a new market without the significant costs that go with expansion. Customer loyalty. An app creates a more direct relationship. If customers have any easy way to engage with your business and keep updated with progress of orders or support issues, they are more likely to stay with you; why would they go elsewhere? Push notifications can be automated and used to communicate with customers, but remember, every time that happens, it is also cementing your brand in their consciousness, so why not also use this for advertising. Perception. ‘Make ourselves look bigger than we are’, mobile apps are still at the point where not everyone has one and consumers associate them with premium brands. Much like websites some years ago, the successful ones were the companies that adopted early and captured their customer base. The same is true of apps, the most successful ones are those launched by innovative brands looking to capture or retain their customers. Whilst they have doubtless seen a reduction in website traffic, they have definitely seen an increase in mobile; combining the two into one overall strategy gives them the best chance of success. Cost. It’s difficult for every company, specifically SMB’s, to adapt to every change in technology, however the actual cost of developing a mobile app can be relatively cost effective and less than most people would think.